~Challenge runs from January 1, 2019 to December 31, 2019. all books should be read during this time period. Sign up any time between now and November 1, 2019. If you have a blog, please post about the challenge. Then sign up via the linky below. and please make the url link to your challenge post and not your home page. (Links that do not follow this rule will be removed.) If you do not have a blog, links to an online list (Goodreads, Library Thing, etc.) devoted to this challenge are also acceptable OR you may comment below to indicate your sign up. 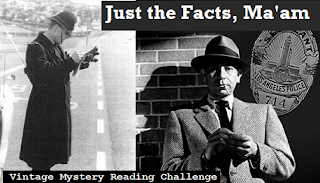 ~Books may only count for one month and one category, but they may count for other challenges (such as my other mystery challenge, Just the Facts, Ma'am). 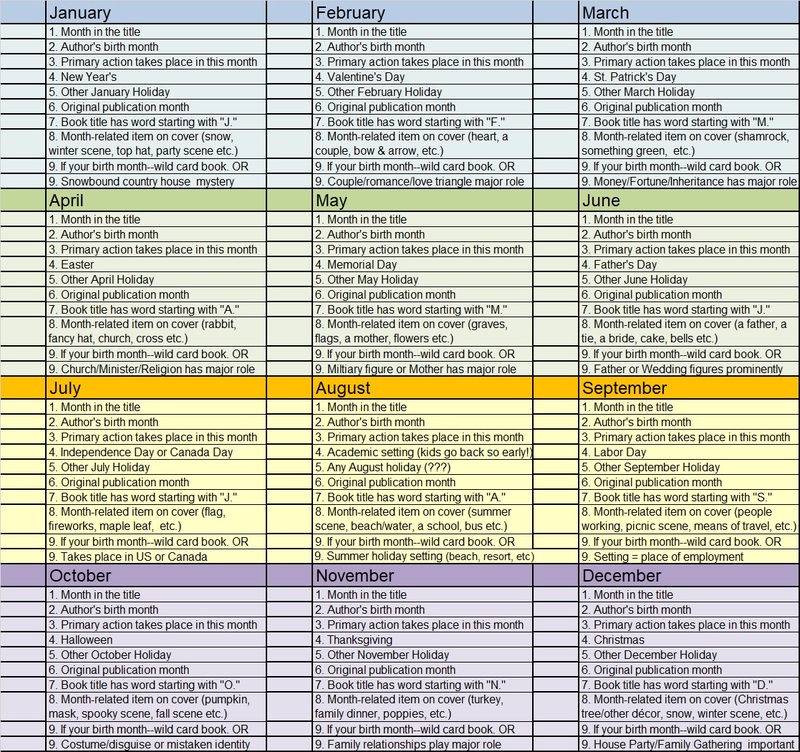 If it could fulfill more than one category or month, then you are welcome to change the category/month at any time prior to the final wrap-up. 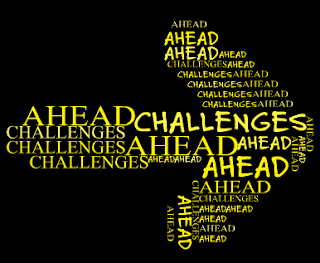 ~As with my other challenges, a headquarters link will be set-up in the left-hand sidebar by the beginning of January 2019 for easy access to this original challenge post, monthly link-ups, and the final wrap-up post. The final wrap-up link will not go live till the end of 2019, please save your wrap-up notification until that time. ~If you post to Facebook, Instagram or other social media to log a book (or about the challenge), please use #CalendarOfCrime2019. ~Prizes! All participants who complete the challenge will be eligible for an end-of-year prize drawing. 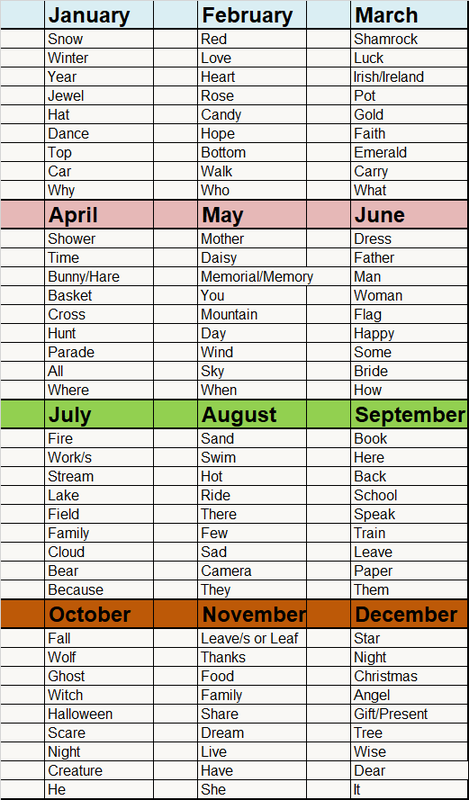 There will also be a "My Calendar's Booked" prize for the challenger who fills their calendar with the most books, so challengers are encouraged to read more than one/all category/ies for each month. In case of a tie, there will be a prize drawing among the the folks who booked-up their year so fully. 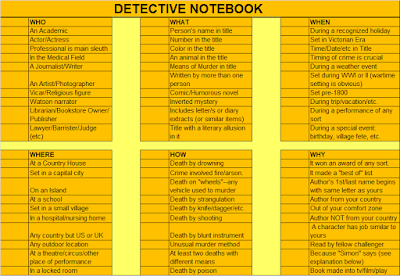 UPDATE: I have made a spreadsheet of DOBs for authors on my TBR and read list (or at least of all the DOBs I could track down). 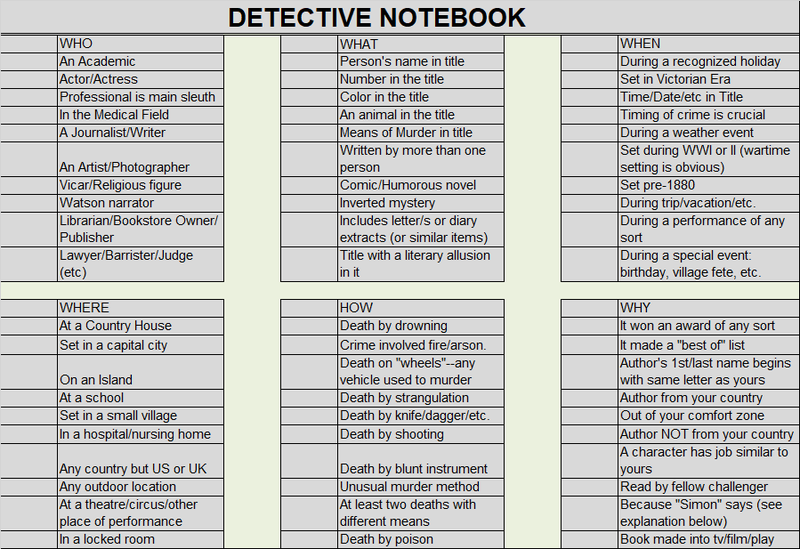 If this would be useful to you--email me at phryne1969 AT gmail DOT com and I will send you what I have. ~Crossovers with other challenges are fin. For those of you who love to revisit old friends in the book world, I present another round with Sam at the piano for all your reading music needs. While not quite as popular as the Color Coded Challenge, this one still has its devotees. 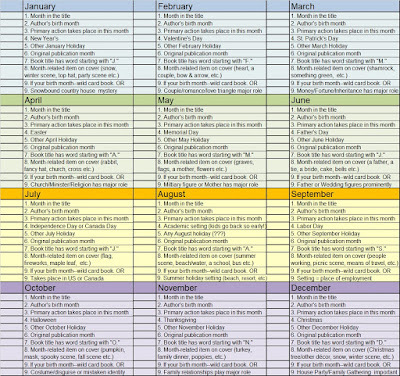 ~Challenge runs from January 1 to December 31. 2019. ~Once you choose your challenge level, you are locked in for at least that many books. If you find that you're lost in a nostalgic haze and want to tackle a higher level, then you are welcome to upgrade. You cannot change down, however. ~You may sign up until November 1, 2019. 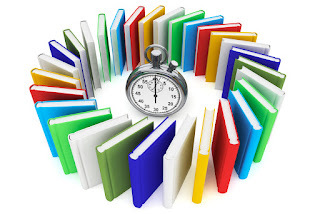 Any book read after January 2019 will count no matter when you sign up. 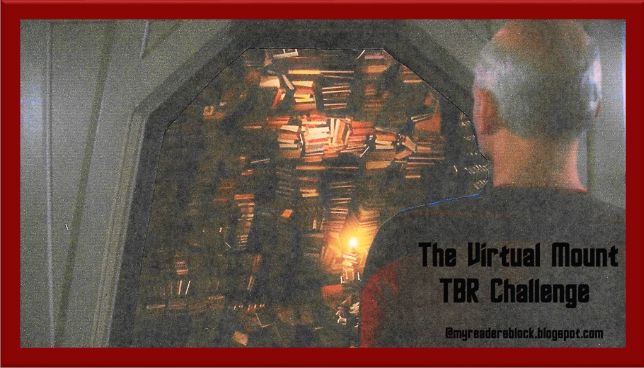 During the seven years that I have sponsored the Mount TBR Challenge (designed for book hoarders like me who buy/receive as gifts/own more books than they can possibly read), I have regularly been asked why library books or "books I've always wanted to read, but don't own" can't count. And I've had to reply: Well...because my challenge says its for people who own way more books than they get read in a year and it's to encourage them (me) to read from their own stacks. ~Just as I have with my other challenges, I will post a headquarters link in the left-hand side-bar by the beginning of January. That will be the place to find this original post, monthly review links, and final check point. 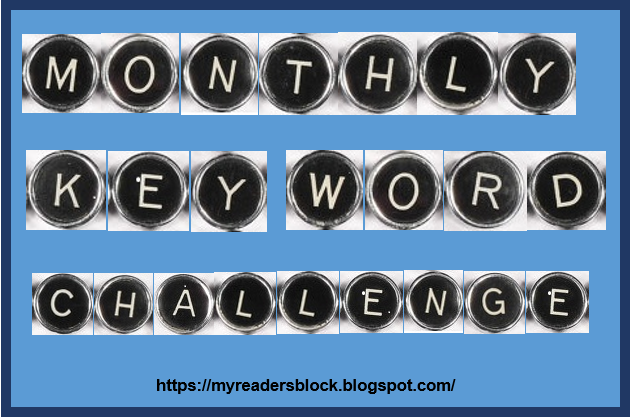 This is my second year hosting the Monthly Key Word Challenge. I took it up when the blog which formerly hosted it disappeared and I couldn't get a response from her through email. It had always been one of my favorites, so I'm glad to keep it going. 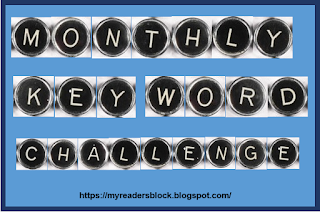 *If you post to Facebook, Instagram or other social media to log a book (or about the challenge), please use #MonthlyKeyword2019. 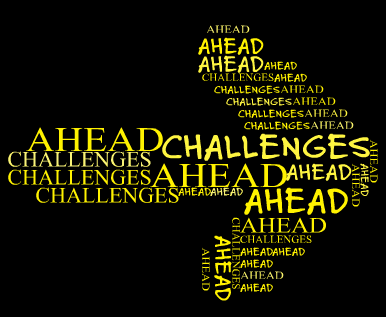 As we head towards the end of October, I'm beginning to marshal my thoughts about the challenges I will be sponsoring in 2019. And I have a few announcements and a request or two. 1. Just the Facts, Ma'am will be on offer again. 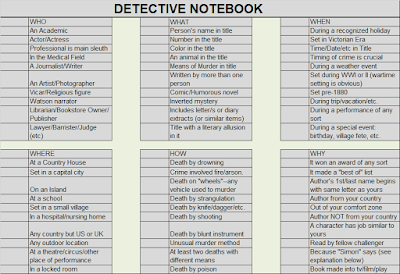 I would like to ask participants to consider what categories (not already on offer) that you might like see added to the detective notebooks. Is there a murder method that I'm ignoring? A location that you'd like to hunt for when choosing your mysteries for next year? Please send all suggestions to me at phryne1969 AT gmail DOT com. 2. Mount TBR will also be back--and will be for the foreseeable future. I just don't see my TBR mountain range ever getting any smaller (no matter how much I read). 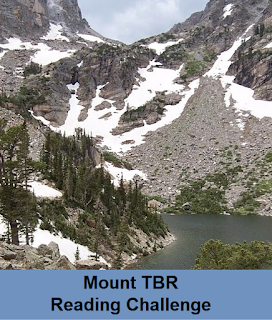 As long as I've got mountains, I'll be asking you to join me for a Mount TBR hike. 3. 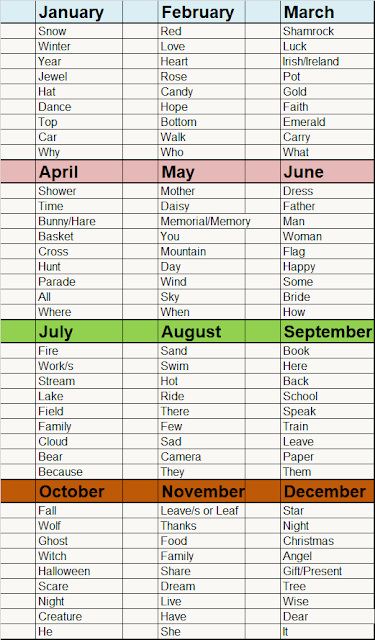 And the Monthly Key Word Challenge will also return with new key words for a new year. 5. 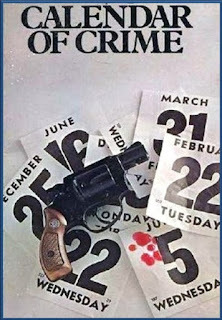 In related news, I am currently putting the finishing touches on a Calendar of Crime mystery challenge which will accept all mysteries no matter the year of publication. Perhaps this will have more appeal for mystery lovers than item #4. 6. I am also toying with a companion challenge to the Mount TBR. Over the years, I've had people ask me why I don't allow library books ("I've had Book X on my TBR list for eons but I don't own it. Why can't I check it out from the library and count it as a TBR read?"). If I get this one together, it will be a Virtual Mount TBR--climbing that list of books you've always wanted to read, but don't own. 7. The Color Coded and Read It Again, Sam Challenges will most likely be back in the same low-key (low-moderator-involvement) way. If you think the sound of a virtual Mount TBR sounds great and/or you have a strong desire to have the Color Coded and Read It Again, Sam Challenges return, please let me know. I'd love to be able to gauge interest in these. 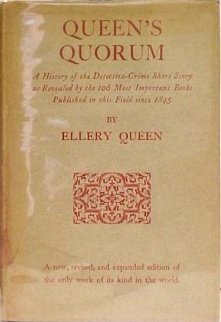 In Queen's Quorum: A History of the Detective-Crime Short Story as Revealed by the 106 Most Important Books Published in This Field since 1845 (1951), Frederic Dannay and Manfred Lee (under their pseudonym Ellery Queen) do just that--they give readers a run-down of the short stories they consider to be the best and/or most influential in a little over 100 years from 1845 through 1950. This is an interesting and informative reference book. It is not just a list of short stories, but Queen provides indepth historical and biographical information on the stories and their authors. rest of the stories listed here. Unfortunately, it seems that several of their selections may be quite difficult to find. They were scarce when the book was first published and I'm sure that they are even more difficult to track down today. 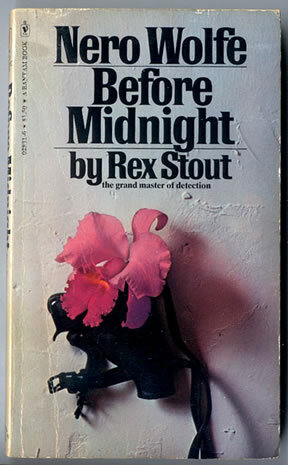 But there would be no thrill of the hunt if all vintage mystery stories and books were easy to find. The only thing I would have appreciated more would have been a Queen's Quorum on the history of the detective-crime novel. While I do appreciate a good detective short story, I do prefer those that are novel length and it would have been interesting to have Queen's list of the most important novels. ★★★ and 3/4. 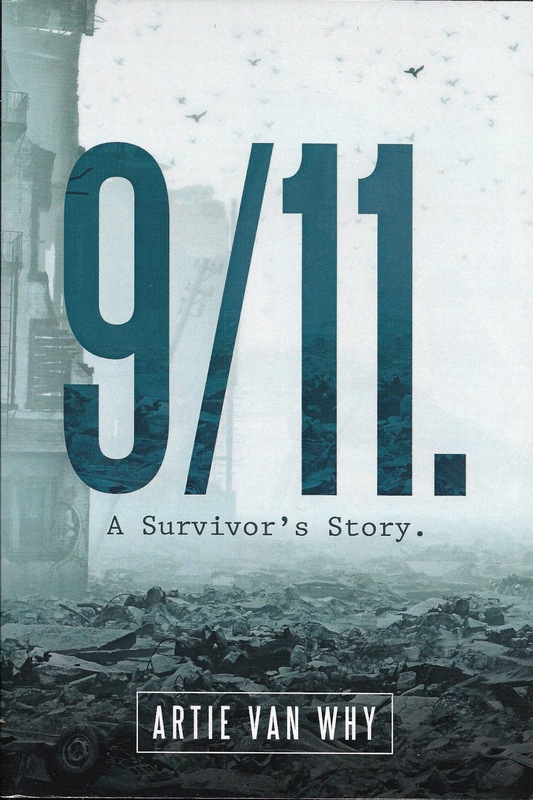 In 2011, Artie Van Why wrote a memoir of the horrific day in 2001 that changed him, his fellow New Yorkers, his fellow Americans, and the world forever. 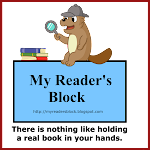 I was honored when he contacted me through My Reader's Block and asked if I would care to read it and post a review. And when I did this is how I summed up his work: "An absolutely beautiful book. 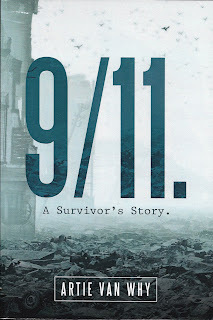 With the ten-year anniversary of that awful day approaching, I highly recommend finding yourself a copy and reading for yourself about Artie and his memory of those events. You won't be sorry." Artie has now taken that memoir and expanded it. He gives us a more extensive recollection of the events of that day, but he also gives us much more than that. He takes us into his confidence--sharing his backstory. He tells us how he came to New York and trusts us with all his vulnerabilities--from his struggles with his spirituality and sexuality to his long-time desire to work onstage. Having been welcomed into his psyche, we are better able to understand what it was like for him and all the survivors who were not in those buildings to watch the destruction and then come to grips with why they were spared when so many were not. Full disclosure: I started 'Til Death Do Us Part (2016) by Amanda Quick as an audio novel (which is how I own it). I buy interesting-looking audio novels whenever our library used bookstore has them so I can listen to books when I make the long drive to my parents. But, occasionally, I just can't listen to an audio novel no matter how interesting the story. That was the case with The Sign of the Book back in March. With that one, everything was fine until the loud-mouthed, annoying bumbling deputy showed up and I just could not take the voice/intonations the reader gave him. 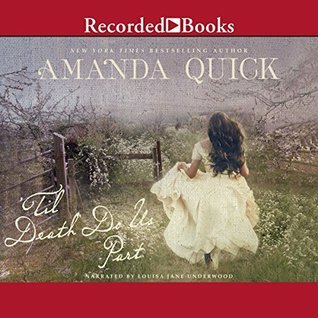 It's a little bit harder to say what it was about the audio version of Quick's novel. I don't know if it was the reader or the pacing of the reading or just the type of book (mystery/suspense/romance)--but, whatever the reason, I had to give it up. 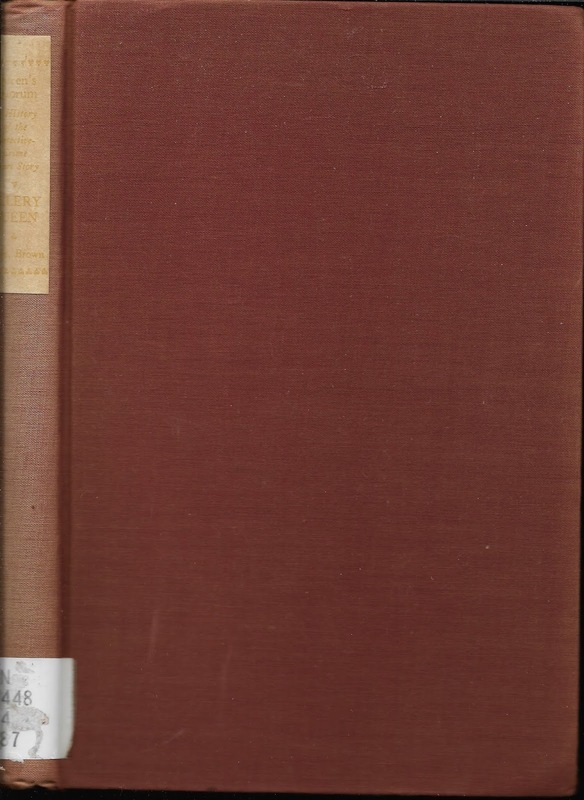 But the plot still intrigued me, so I ordered it up from the library so I could finish it off and count it for challenges (since I do own it, it counts for Mt. TBR; since read more than half of it in hard copy, I'm counting it for Strictly Print). The story features Calista Langley who, along with her younger brother, has inherited the family home but no income to go along with it. Having gone through a rather painful romance (the scoundrel dropped her like a hot potato when he discovered there was no finances to along with the big house), she develops an exclusive Introduction Agency where like-minded individuals may meet in comfort, privacy, and safety for good conversation and perhaps develop friendships. Her brother has a knack for investigation and does the background checks to help weed out potential gold diggers and worse. The business has just started humming along nicely when a variety of challenges are thrown Calista's way. The scoundrel mentioned above, now married but bored with his wife and chafing at the restrictive settlement his papa-in-law made on his daughter (no cash for hubby if she leaves him or she dies), comes bursting back into Calista's life wanting "fan the flames" of their former passion. He doesn't want to take no for an answer. 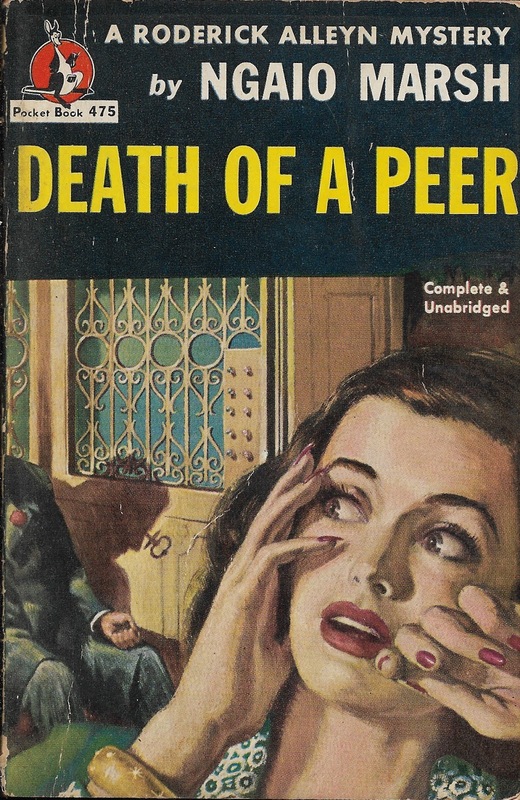 Add to that the famous mystery writer Trent Hastings who has descended upon her--ostensibly looking to use her service, but in reality to check up on whether she's a fraud. His sister has become rather enamored with Calista's salons and he doesn't want to see her get hurt. But Calista stands up to him and the reclusive author finds himself attracted by her. Third...and most distressing of all...Calista has been receiving creepy momento mori gifts. Someone is sneaking into her house and leaving tear-catchers and coffin bells and a jet & crystal ring, all engraved with her initials. When Trent returns to make amends, he's just in time to witness Calista's receipt of another gruesome gift. He offers to help the Langleys investigate to find the person responsible and eventually his sister Eudora joins in as well. The deeper they dig, the more disturbing the evidence...for Calista is not this stalker's first victim. And he has left a trail of bodies behind him. The investigators must work hard to discover the villain before Calista needs a coffin to go with the bells. 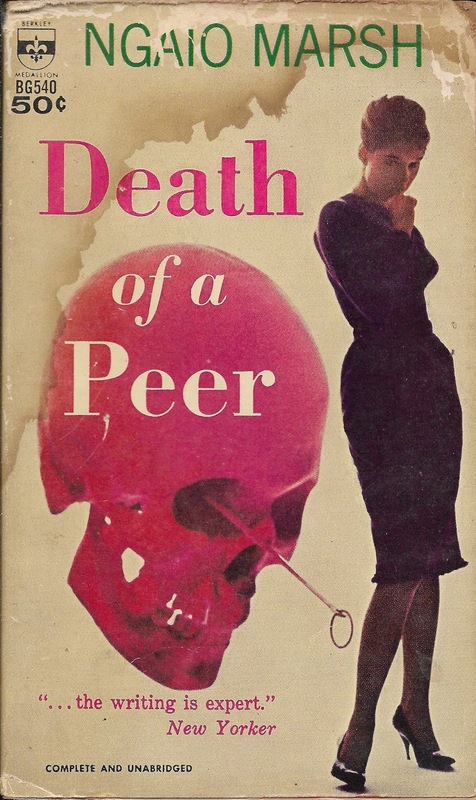 Archie Goodwin never dreamed he'd wake up one morning to find four men from Lippert, Buff, & Assa (LBA), the advertising company which handles Pour Amour, would show up on the brownstone's doorstep the day after he'd shown the perfume's ad to Nero Wolfe. But there they were, in living color, on the other side of the one-way glass panel in the door, clamoring to come in and see Wolfe before he was due to finish in the plant rooms. LBA has been running a promotional million dollar (total prizes) contest for Pour Amour that has involved contestants solving clues, offered five quatrains, which point to the identity of famous cosmetic-using women. There have been several rounds--which opened with millions of contestants--that have resulted in a final round with five remaining prize-seekers. The last round of quatrains was just given to the contestants, in person, last night. 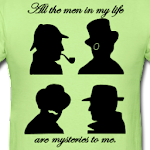 So what has these four men in such a tizzy? Louis Dahlman, the brilliant--if difficult--young up-and-coming ad man whose brainchild the contest was and the only man who knew the answers to the contest, is dead. There were two copies of the answers. One set was locked in a safe deposit box that no one has accessed and the other set was in Dahlman's wallet last night. The wallet is now missing. LBA wants to hire Wolfe. Not to solve the murder, but to find out who took the wallet and the answers. If the thief is the killer, then Wolfe is welcome to hand him/her over to the authorities. But all LBA cares about is the integrity of the contest. Does that bit of hardheartedness towards their former colleague bother Wolfe enough that he doesn't take the case? Of course not. A blank check fee has just been offered to him. So he sets about interviewing the contestants and the members of the firm and believes that he is shaping the case up nicely...until the murderer has the audacity to commit another murder in Wolfe's own office right under his nose. Cramer accuses him of having changed his job from finding the thief to finding a murderer and warns him to stick to his original contract. Confound it, can a man kill with impunity in my office, with my liquor in my glass? Alleyn grinned, "No," he said. I'm not bored by my job. One gets desperately sick of routine at times but it would be an affectation to pretend one was bored. People interest me and homicide cases are so terrifically concerned with people. 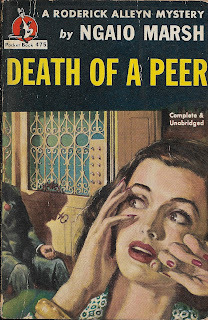 Death of a Peer (originally published as A Surfeit of Lampreys; 1940) by Ngaio Marsh features the very interesting, very charming and very peculiar Lamprey family. Alleyn will certainly get his fill of interesting when he manages to work out who coldbloodedly murdered Gabriel Lamprey, Marquis of Wutherwood and Rune with a kitchen skewer while he waited in the elevator outside the family's London top-floor flat. The Lampreys--at least Lord Charles, his wife, and their brood of children--love to sport the eccentric, grand style of the aristocracy. They simply exude charm and really seem to be quite nice people even if they are a bit clueless about how to hang onto money and often find themselves going through one "financial crisis" or another. They especially seem nice to Roberta Gray who fell quite in love with the family and all its eccentricities when the Lampreys came to New Zealand for a while during one of their crises. At the story's beginning, Roberta has lost her parents and come to England to live with her aunt. But before she heads to the family bosom, she stops for a bit to visit her favorite family--the Lampreys. She arrives just in time for another financial crisis and to witness the family's massive effort to charm Uncle G (as the Marquis is familiarly known) into floating them another loan. They plan a nice little game of charades as a pleasant entertainment and Michael (the youngest) is prepared to butter up dear old uncle with a present of a rare vase. But the efforts are not a rousing success and Uncle G and Lord Charles have quite an argument about the latter's inability to manage funds. Uncle G slams out in a huff, hollers for his eccentric wife (who has taken up some kind of mystic, voodoo-like interest) to join him, and plops himself down on the elevator seat to wait. She joins him as does one of the Lamprey twins (yes, there are twins involved). The elevator starts down, there is a lot of screaming, the elevator comes back up, and there is Uncle G, dying from a skewer to the brain. No wonder Violet, his Marchioness, is screaming the house down. Once the doctor and the police are called, the Lampreys close ranks (because, naturally, none of them could have done it--no matter how annoying it was that Uncle G wasn't going to cover any more crises). Alleyn has to work his way through half-truths, bald-faced lies, and innocent comments with hidden meanings as he interviews the household. He'll also have to sleuth out which twin was in the elevator because everyone claims not to know and the twins each claim to have been the one. In the end, it's Michael (dubbed by the family as the least truthful--in an obvious effort to keep Alleyn from even talking to him) who has the most revealing information to give--if Alleyn can interpret it properly. But...he wouldn't be Alleyn if he didn't. "Do you read detective novels, Br'er Fox?" "No," said Fox. And perhaps with some idea of softening this shortest of all rejoinders he added: "It's not for want of trying. Seeing the average person's knowledge of the department is based on these tales I thought I'd have a go at them. I don't say they're not very smart. Something happening on every page to make you think different from what you thought the one before, and the routine got over in the gaps between chapters....I don't say it's not clever but it's fanciful." Fox: The truth is homicidal cases are not what people would like them to be. How often do we get a murder with a row of suspects, each with motive and opportunity? Alleyn: Not often, thank the lord, but it has happened. Fox: Well, yes. But motives aren't all of equal weight. You don't have much trouble in getting at the prime motive. Fox: No. Mostly there's one suspect and our problem is to nail the job on him.